We’re all comfortable with the idea of buying gadgets, cars and homes on finance, however, when it comes to boilers and other home appliances, arranging for a finance deal is not the first thing that comes to mind. Partly because a large portion of boiler replacement outlay is made up by installation cost and paying tradesmen on deferred basis doesn’t sound like a viable option. Yet it is, and boiler finance has grown by leaps and bounds in the last few years with as much as 60% of new boilers installed on finance arrangements. Since replacing a boiler is a relatively risk-free home improvement, lenders are happy to provide the funds making this option available to a wide range of people. That’s why Boilers from just £9.99 per month is a possibility if your credit rating is good. If you need a new boiler, pay monthly. Let’s compare 0% finance packages, fixed finance and “buy now pay later” deals to find the one that best suits your needs. 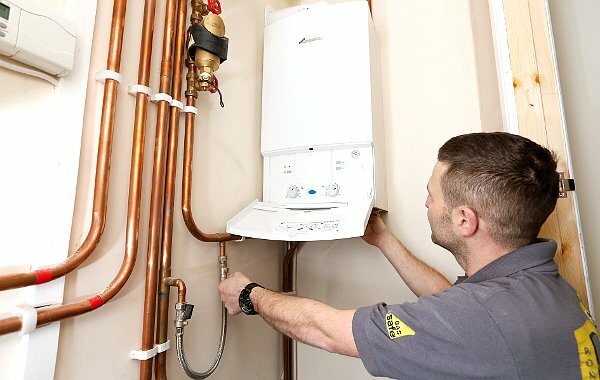 Generally, you are expected to pay for your boiler within 10 years (120 monthly payments), however, there are other finance deals available starting from 2 years. It mostly depends on how much you’re comfortable paying each month. To give you a rough idea as to what boiler finance looks like, let’s use a random example. In this case, boiler installation costs £2,156 after the trade-in discount. To make life simpler, let’s assume the customer needs finance of £1,000. It means he’s put down a deposit for the remaining sum of £1,156. We need to find out what the monthly repayments will be and most importantly, what the total repayment will amount to in the end. This is a factor that many people overlook when taking a boiler on finance. It may look all right on a superficial inspection but unless you’re careful, your total credit may turn out to be so big that it will eat up all the potential saving you would have made with your new A-rated boiler. We’ll look at four examples. The two fixed finance deals are most straightforward – we’ve picked two options – a 3-year loan and a typical 10 year boiler finance product. As you can see, the total repayment and the amount of interest you have to pay over the loan period differs a lot. Although the shorter loan has significantly higher monthly payments, at the end of the period, you will have had a better deal as you will have saved over £400 in interest. As for the Buy Now Pay Later loan example, there are no payments to make for the first 3 months, and it’s important to remember that there is an early settlement penalty charge. Taking on a New Boiler Pay Monthly plan you can expect a low monthly repayment – £17 per month, £14 per month or even as little as £9.99* dependant upon your credit score and other factors. This is often offset by the monthly savings on your energy bills, a direct result of an energy efficient boiler. We have finance plans to suit your budget. Our plans range from 2 years right up to ten years. In addition to monthly payments, we also offer 0% interest for up to 2 years. Unlike many of our competitors, there are absolutely no upfront payments, and zero deposit on plans between 3 and 10 years. Boiler finance offers will differ from company to company, even for the same boiler model. This is mainly due to the fact that the installers will use different lenders and will have different methods of working out the final cost. It’s important you compare various offers before you make a decision, especially when it comes to interest free boiler replacement to make sure you’re not hit by hidden charges. and other offers. This will help you get an overview of the costs involved. You will have noticed that all finance offers mention an APR which can range from just a couple of percent for long-term secured loans to an extortionate 2000% on some rather questionable short-term loans. The APR represents the annual percentage of your loan. In other words, it shows how much it costs to borrow money. All financial products should specifiy APR by law to provide consumers with a comparable metric to enable them to make wise financial decisions. APR will depend on many different factors such as lenders fees, length of loan, central bank rate, credit rating of the customer amongst many other things. Although it is designed to simplify comparison, many people find APR rather confusing. Let’s take the same example – £1,000 finance with a 9.9% APR. Does that mean you are going to pay £99 over the course of a year? No, it doesn’t unless you have obtained the so-called “interest only” loan, which is highly unlikely for consumer credit environment. In most cases you will be also expected to pay back a certain portion of the outstanding loan amount. What’s the Difference Between Typical APR and Representative APR? None. They are just two terms to express the same concept. A representative APR displays the rate that 51% of the borrowers are paying for that particular financial product. There is no guarantee that everyone will be able to achieve such rate. Many people will be charged a higher rate to offset their risk status, which is measured by credit rating. This is why everyone keeps telling you that you have to look after your credit rating. Getting a boiler plan is cheaper than running an old boiler. it’s also better for the environment. Your credit score may have a significant impact on boiler finance deals that you have access to. Checking your score before your boiler replacement is due is a good idea because it will give you a chance to rectify potential issues and make sure you get a more favourable APR. There are three credit reference agencies in the UK – Experian, Equifax and Call Credit – and each agency compiles a different credit score database. 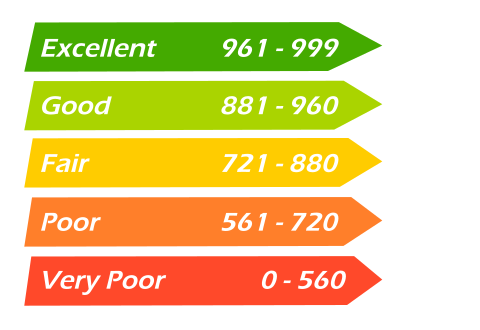 In most cases a credit score will be a number ranging from 1 to 999 with the top range representing excellent credit rating and the bottom range – poor score. Regardless of the agency, your score is calculated and built up over time based on your borrowing behaviour, particularly your credit utilisation. If you regularly use more than 30% of your available credit allowance or if you have had debt issues, it will inevitably have an impact on your score. Other ways to improve your score are updating your voters register every time you move; staying out of trouble as County Court judgements count against one’s creid worthyness and paying bills on time. It’s also important to plan your finances and use short-term and long-trem budgeting to ensure you’re not borrowing more than you will be comfortable paying back. It is possible to check your score for free. Give it a go and check that you have at least “Fair” credit rating. Bumping your credit score from 700 to 800 may translate into hundreds of pounds in savings when it comes to take on boiler finance or other types of consumre credit. Having said that, we can also help customers with poor credit score, although they will be expected to endure higher monthly repayments. Monthly repayments from as little as £9.99 a month*. This is often offset by the monthly savings on your energy bills, a direct result of an energy efficient boiler. All our “pay monthly” packages include installation and come with up to 12 year warranty.